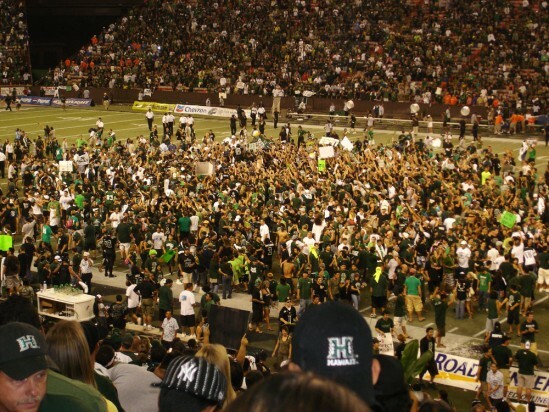 As any Hawaii resident knows by now, the University of Hawaii Warriors are the WAC (Western Athletic Conference) Champions!!!! 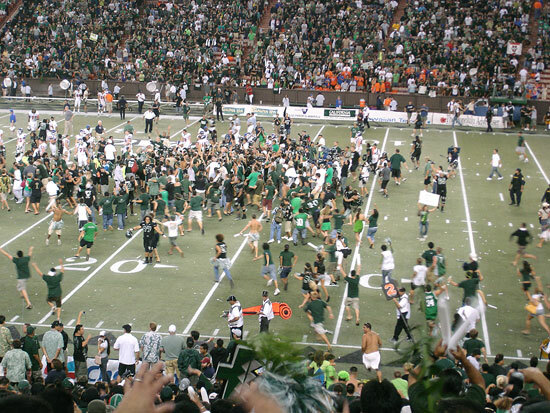 The game against Boise was last Friday and it overtook the Fresno State game I attended years ago as the most adrenaline pumped game I’ve ever attended at Aloha Stadium. There was a point during the game when the stands were just electric and the shouts and screams were deafening. It was truly magical to be there. We started chanting “B-C-S!” and that gave me chicken skin! I feel so good for Colt and so happy that he came back. The season was looking kinda bleak with the injuries and all but now it just seems like this was all he could have hoped for. Baby Girl got into it too. I’d hoist her up and her job was to scream and wave the shredded ti-leaves we had. I can’t wait for this week’s game. GO BOWS!!!! Last night I had to make something that I thought Buddy would gobble up because he’s sick and hasn’t been eating much so I made pork tofu. 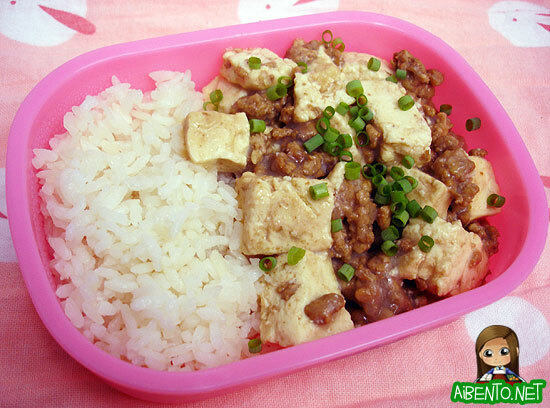 It was a lil’ lacking in taste, so I think next time I’ll use Kikkoman instead of Aloha soy sauce. I’m also out of onion powder so I need more of that… It’s the only way I can sneak the taste of onions into food because Mr. Pikko has the Ultra Onion Detector 3000 built into his tongue. It looked real plain, so I picked some of my last green onions and cut them up with my scissors. When we had severe rains a couple weeks ago I looked out at my plants to see my poor green onions floating in a pot of water. They’re still alive though, miraculously. A KCCA salad, yay. 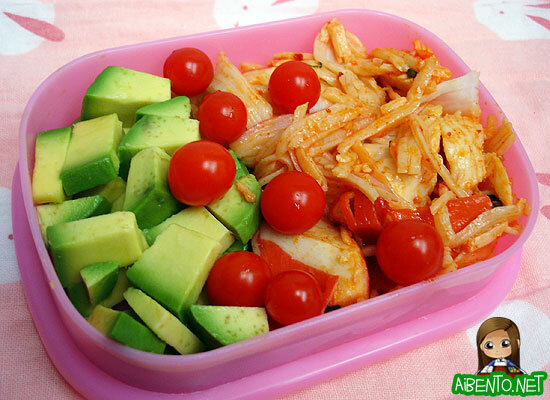 This was all nice and good until I realized that I forgot to pack LETTUCE. hahahaha! So I guess I’m having this as sides instead of a salad. Good job, me!